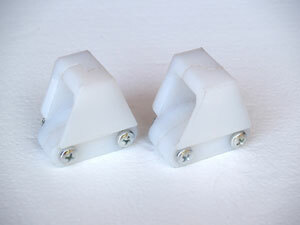 Replace your stock rubber chain guide with our super tough UHMW plastic guide. UHMW is an extremely tough industrial plastic that 'lubes like oil and wears like iron.' It is very slick and very tough at the same time. We have two sizes available, the standard width to replace the stock rubber guide using the standard chain, and a wider version designed for use with an o-ring chain. 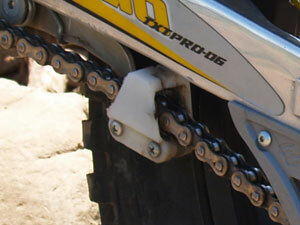 As with all V-Mar products, the chain guides come complete with all new mouting hardware.